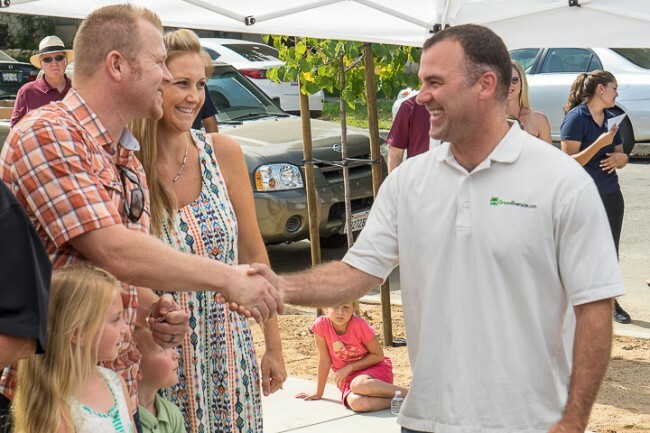 June 27th, 2015 was a day of celebration as Habitat for Humanity Riverside dedicated three new, Energy STAR efficient homes to three families in Riverside. “We feel excitingly humbled and grateful to have had a hand (or twenty) in building our family home. 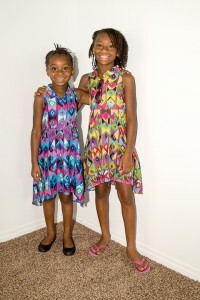 Even more so, owning a Habitat Home magnifies having an opportunity to be good stewards of God’s provision. To us, this means raising our children to have a heart of service, being able to show hospitality on a larger scale (with greater space), and just truly witnessing firsthand that anything worth having is worth working hard for”. These first time home buyer families will now have the opportunity to live in a safe, decent, affordable home thanks to support from the City of Riverside, Bank of America, The Community Foundation, the S.L. Gimbel Foundation, and Calvary Presbyterian Church. These families are pre-approved to purchase homes based on income, decent credit, need, and the families’ willingness to partner. 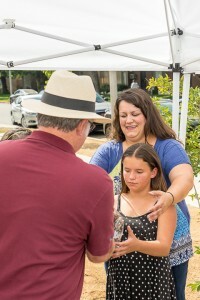 Part of the families’ willingness to partner includes “Sweat Equity” where families volunteer at 250 hours per adult on Habitat Riverside projects, in the Riverside ReStore, and in financial literacy and home buyer education classes. “I feel very excited about this next chapter in our lives. 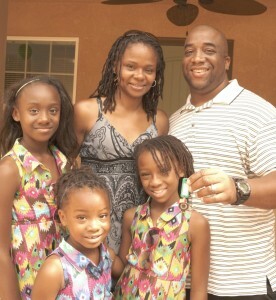 What being a Habitat homeowner means to me is being able to have stability in an affordable home that we may not ever have been able to do without Habitat”. We could not have completed this project without the help and support of our sponsors, donors, and the assistance of the many volunteers that worked with us. Many of these sponsors and volunteers joined Habitat staff, our partner families, and their friends and family at this event. The love and support the families received was overwhelmingly evident as all chairs were filled and most of the standing room was taken. 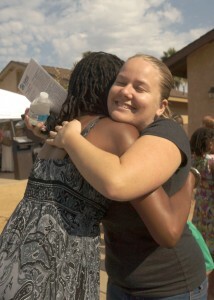 Our dedication was opened by Habitat for Humanity Riverside Executive Director, Kathy Michalak. American Legion Post 79 performed the Presentation of Colors and the Pledge of Allegiance was given by Lauryn Mobley and Aubriana Riggins, daughters of two of our partner families. 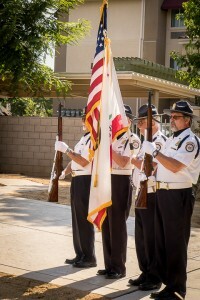 The National Anthem was sung by Phil Bremenstuhl from the Riverside Rotary Club. 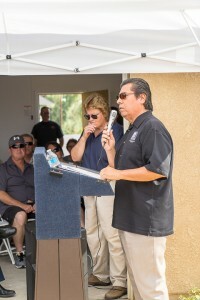 Remarks were given by Habitat for Humanity Riverside Board of Directors President, Jesus Morales; City of Riverside Mayor, Rusty Bailey; and Ward 2 Coucilmember, Andy Melendrez. Ken Gutierrez, Vice President of Habitat Riverside Board of Directors, presented the families with bibles and baskets of goodies. 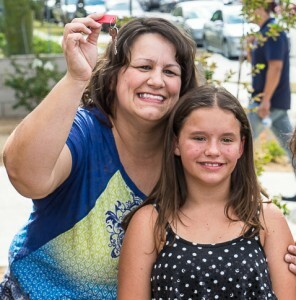 Mayor Bailey, Councilmember Melendez, and Emilio Ramirez (Community and Economic Development Director for the City of Riverside) had the honor of presenting the Mobley, Ferguson, and Reynolds families with the keys to their new home. The houses were then dedicated and blessed by Reverend Erin Thomas. Thank you to all of our sponsors, supporters, and volunteers that helped make this project a reality!